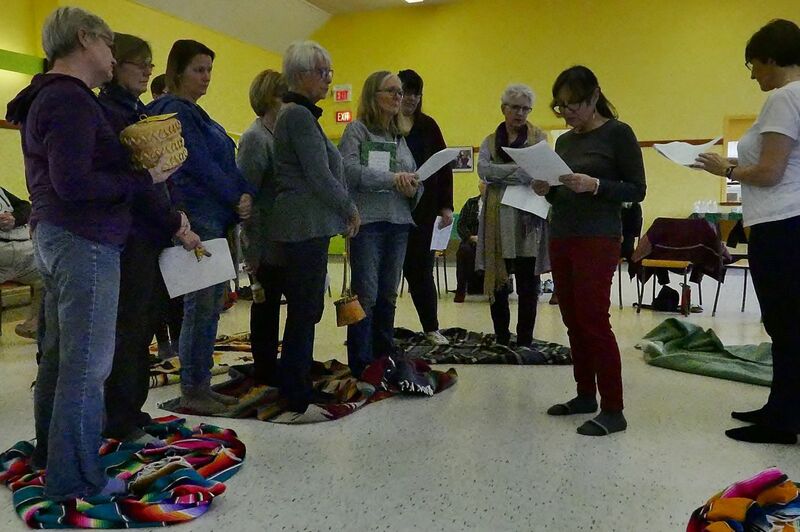 “Hello everyone, Here are some photos from the Mississippi Mills All My Relations Blanket Exercise we did on April 6th. Mirelle told us that it was very painful for her to do the exercise with us and could tell that it was painful for us to participate in it. She felt compelled to make this history that was very wide in scope including the first 10,000 years of Indigenous history because she sees this as a small part of our path to reconciliation –something though she feels is way, way off in our future. Participants were listening with their hearts, hearing the statements of Indigenous leaders and feeling the losses in a very concrete embodied way. 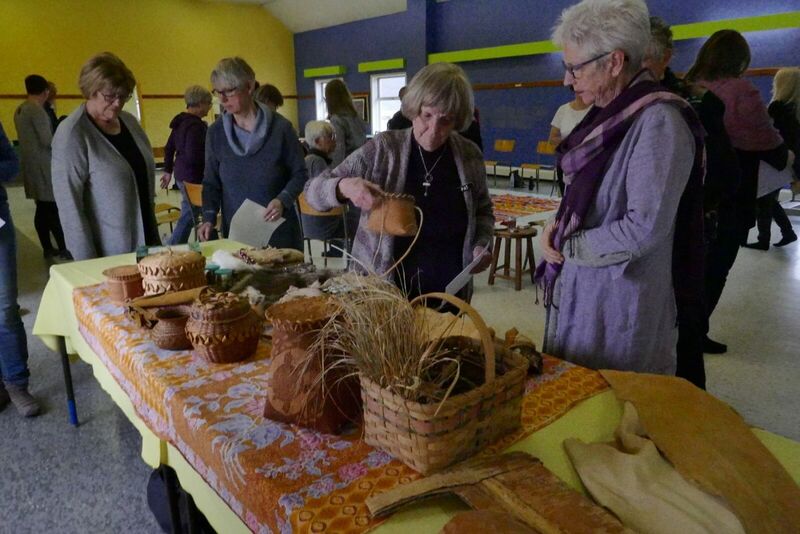 Afterwards one person commented, ” I am profoundly feeling and reflecting on what we shared in the circle. Remarkable lesson. So much more to learn. So much healing to be done inside and outside our communities. This is the second time I have done the blanket exercise. The first time, I was very much in my head trying to take in what I was hearing. This time the information and experience settled more deeply into my heart and a very visceral way. It is much more part of my identity of who I am as a Canadian.